Sike: a slang term (correctly, "psych") that was big in the 1990s. It's similar in usage to adding "not" to the end of a statement that's meant to be either sarcastic, a joke, or both. On Friday I came home from work and opened The Boy's book bag. In it, was a dog tag like chain "Student of the Month." I stared at it for a while - amazed. Proud. And even a little hopeful. It was the perfect Mother's Day gift. There are only 7 kids in The Boy's kindergarten class. (Even though, it's supposed to be a 6:1:2). May is the 8th month of the school year. And yet, The Boy has never been student of the month. Is it me? Or does that seem messed up? So when I saw the Student of the Month dog tag, I was all like - it's about damn time! I asked The Boy about it. He said it was a "student of the month ring." I gave him a big kiss and a hug. Every day I tell The Boy that he's a smart kid and that he knows his stuff. I was happy that his teacher was finally looking beyond the behaviors and diagnosis and seeing him for the bright kid he is. Because in spite of everything, The Boy has come such a long way this year. He's talking so much, reads above age level and has been asking questions and wanting to make the social connection. A few weeks ago, we had a play date with the little girl in his class. And ever since that day, he's asking about her. Asking if she'll come to his room and play. And The Boy's been asking for other kids in his class to come over. He's never done that before. And then yesterday, The Husband broke the news in the dairy section (he met me at the supermarket). He said he listened to the messages. 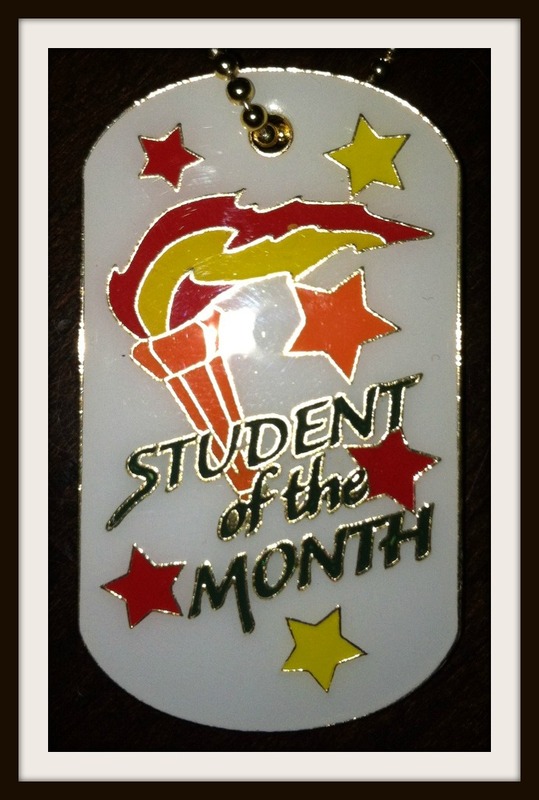 The Boy's bus driver called - apparently, the student of the month chain belonged to another kid on the bus. He dropped it and The Boy picked it up. The bus driver asked if we could return it on Monday to the real Student of the Month. I'll be honest, the news put a serious damper on my Mother's Day. I went home and sulked on the sofa. Again, wondering - there are 7 kids in the class, May is the 8th month of the school year and still The Boy has not been student of the month. I mean, it's kindergarten. And there are only 7 freaking kids. Shouldn't everyone get a turn? A few people tried to console me by saying - It's okay, The Boy doesn't know the difference. I read Carly's Voice - the book about the non verbal autistic girl who started communicating by typing. When she started typing as communication - her family realized that Carly had understood everything that had been happening. What if that's the same with The Boy? It's hard to know just how much The Boy knows. But I do know he's a lot smarter than the folks at his school give him credit for. And in writing this I realize, that The Boy doesn't need a chain as recognition of his progress. I see it everyday. And we celebrate it. You don't need a chain to realize what YOU already know!! I hope you enjoyed your Mother's Day dispite the news cause you have much to celebrate!! !